Greetings from Gary Webb Guide & Outfitter in Southwest New Mexico! For those of you not familiar with our operation, we’ve been full time outfitters and professional trophy big game guides since 1984. Trophy big game hunting is our life. We are a small operation and take a very limited number of clientele. We feel this insures more personalized attention and makes for a superior quality hunting experience. 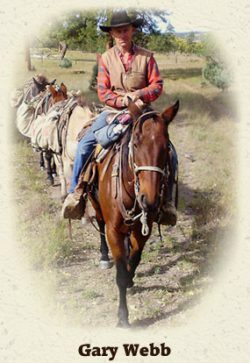 We specialize in trophy big game hunts, from pack-in wilderness horseback hunts to our private land hunts. My self, my wife Julie, our son Bonner, and our guides are very knowledgeable about the area and trophy game we hunt. We pride ourselves in our hard work, preparation, and honest representation of our services.